On 29 JUL 15 NEC-SE posted: Yesterday Turkey received NATO’s support, today they receive Chinese missiles, and tomorrow…. On 2 AUG 15 NEC-SE posted: Islamic State Free Zone or a doctrinally correct No Fly Zone? In the article we stated: Doctrinally the United States military understands the “no fly zone” concept. The concept of the Islamic State free zone has no doctrinal roots. The United States leadership has realized that when Turkey established its no fly zone/ISIS free zone in Syria this might lead to an incident in which the new Chinese surface-to-air missiles would be used against purchased by Turkey would be used against Syrian Army Russian MIG’s, which were delivered from Russia to Syria earlier this year. The Russian defense ministry confirmed that a plane that identified as an SU-24 strike aircraft had been shot down by ground fire over what it insists was Syrian airspace, where the Russians have conducted more than 4,000 air strikes in the past two months in support of their ally, President Bashar Assad of Syria. 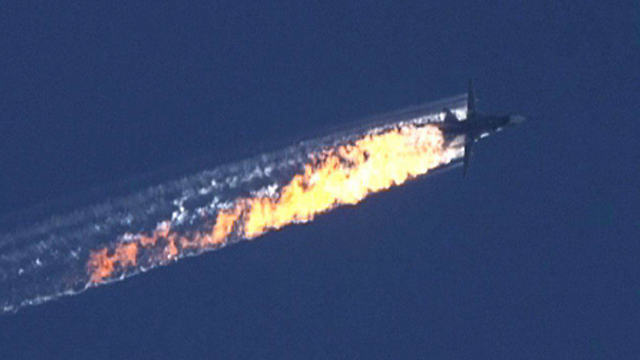 THE INCIDENT COULD NOT COME AT A WORSE TIME IN TERMS OF TURKISH-RUSSIAN RELATIONS. Initial Turkish media reports say that Turkish Air Force F-16s intercepted two Russian planes as they approached Turkish airspace along the border and that one ignored ten verbal warnings to turn back before the decision to shoot the plane down was approved.